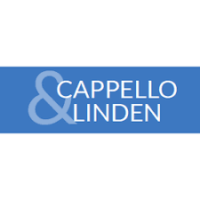 Cappello & Linden Attorneys at Law practice law the right way, focusing on professionalism and integrity while providing clear, honest, and quality service to clients. They take pride in knowing that they’ve helped thousands of individuals, families, and businesses throughout the North Country. The team is equally proud of the willingness of their lawyers and staff to give of themselves and their resources to the community. It is this broad perspective of purpose and commitment that they embrace, thereby providing clients with the highest quality legal services available in the North Country. Visit clnylaw.com for more information. Cappello & Linden is located at 76 Market St in Potsdam. Also, check them out on Facebook.